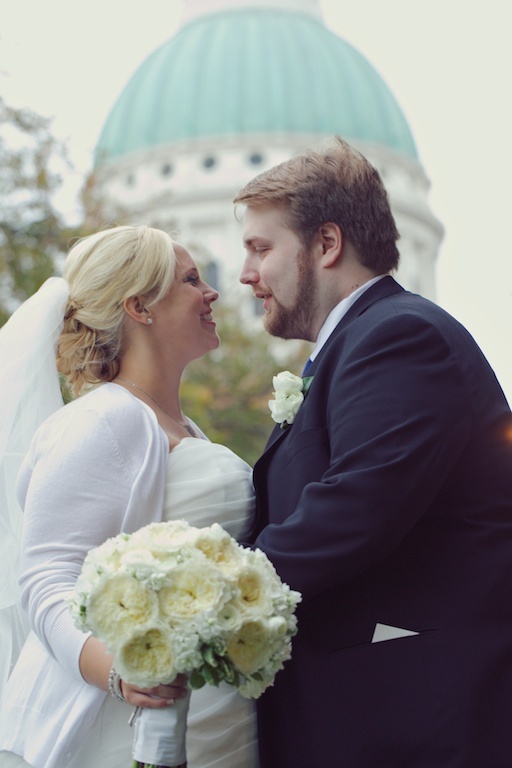 Libby and Jorgen were the Bride and Groom from a designer’s dream! Not only were they sweet and kind, but they were very flexible about the details of the wedding. 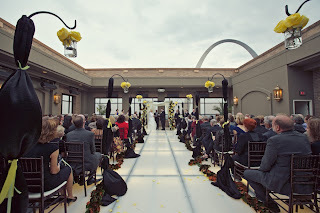 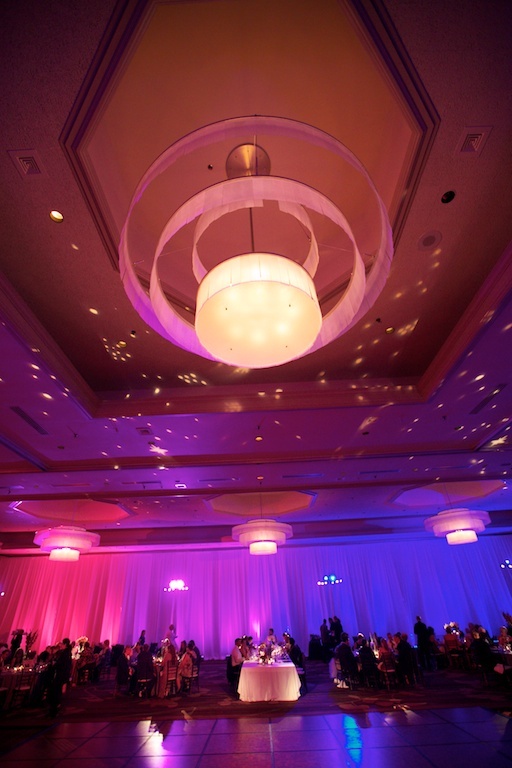 They wanted a day that reflected them personally and let us design the best ways that flowers worked into their vision. 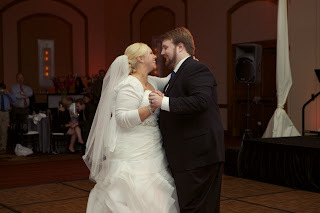 Photos by Beautiful Mess Photography. 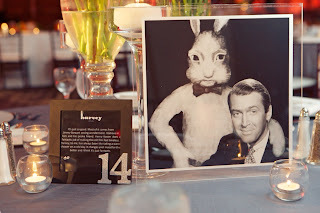 So many fun personal touches throughout the day started with this cute little furry friend! 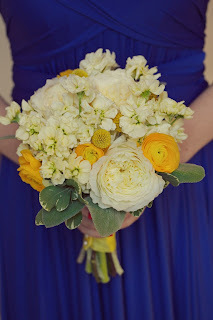 The bridesmaids bouquets were a mix of yellow blooms ranging from pale to bright. 18th floor ceremony with the Arch in the background. 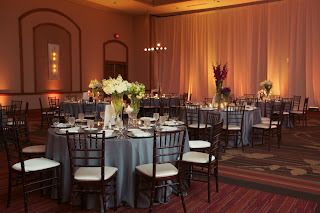 The reception was a mix of all the details the couple loved. Three different types of centerpieces were used on the guest tables incorporating everything from bright color to subdued tones in varying styles. 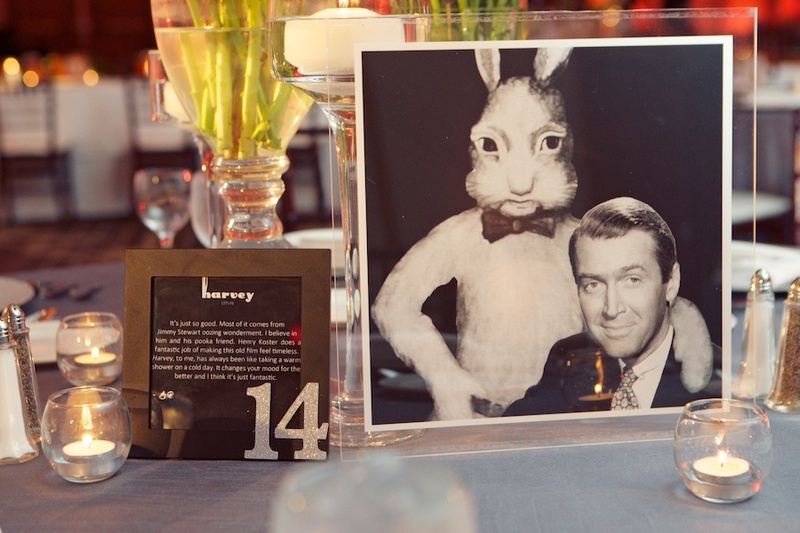 Movies of all genres are a big part of Jorgen and Libby’s lives, so each guest table had a movie theme complete with photos and a synopsis of story lines. 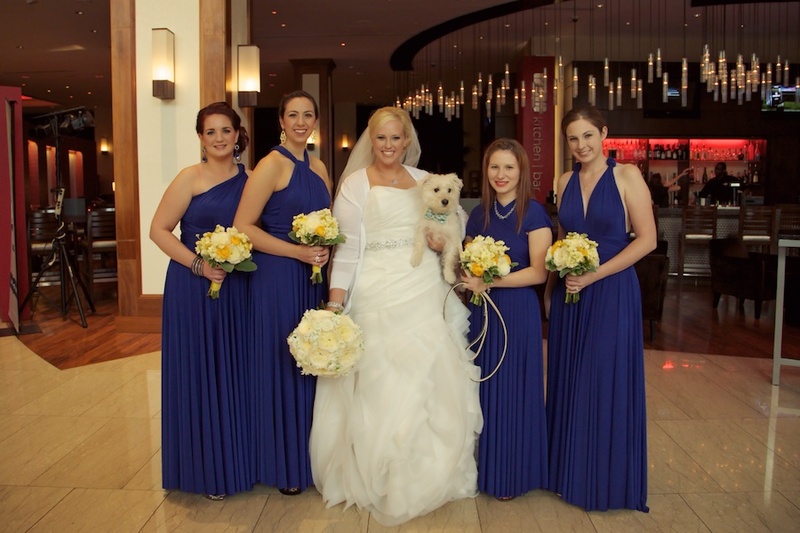 It was a joy and a privilege to be a part of this wedding! 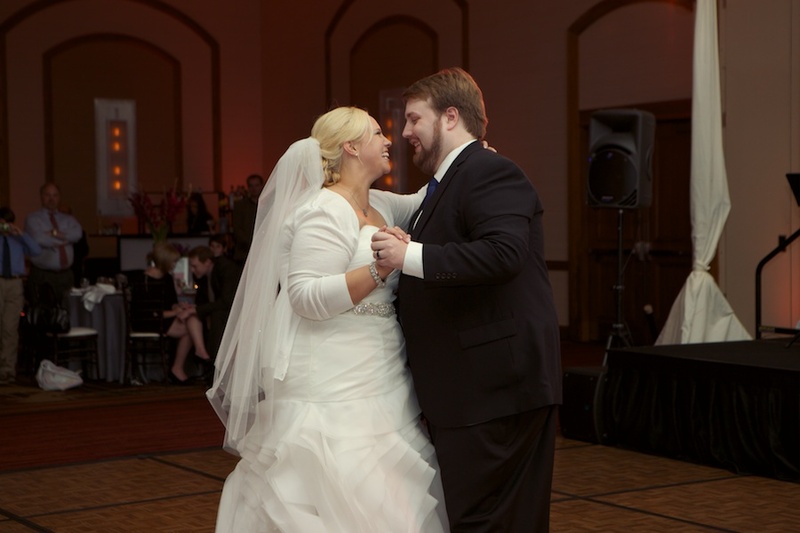 We are so happy for the newlyweds! !